Hong Kong has become a hotspot for young chefs to showcase their talents with new fine dining restaurants and food experiences on offer. 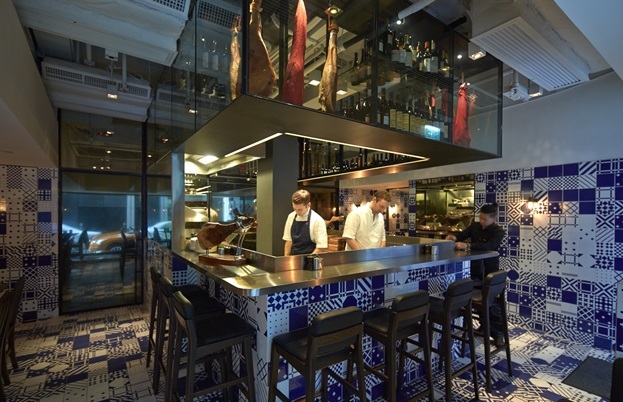 Hong Kong’s colonial history, international business culture and geographic location have combined to make for an incredible mixture of world cuisines and a spirited new restaurant scene. Keen to make their mark on the city’s highly competitive foodie market, young, foreign chefs are flocking to Hong Kong, with the range of quality dining experiences blossoming as a result. 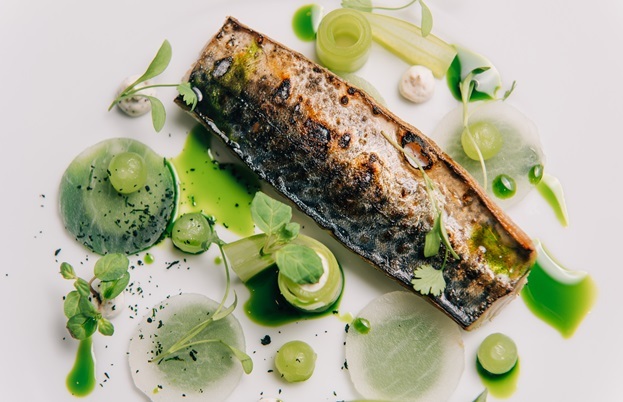 Multi Michelin-awarded chef, Tom Aiken, is one of the most creative and talented chefs in Britain. At the tender age of 26, he became the youngest chef to win two Michelin stars for his work at London eatery, Pied à Terre, and his current restaurant empire continues to go from strength to strength. He is currently working as Culinary Director at The Pawn in Hong Kong, a colonial-era heritage building turned modern gastro-pub which, Aikens tells us, “has really become an institution over the years”. Complete with roof-top kitchen garden and various produce-led dining options, it offers a mix of casual and high-end dining. The atmosphere is relaxed and informal with menus featuring “more sharing-style dishes as people here tend to share food during a meal”, according to Aikens. 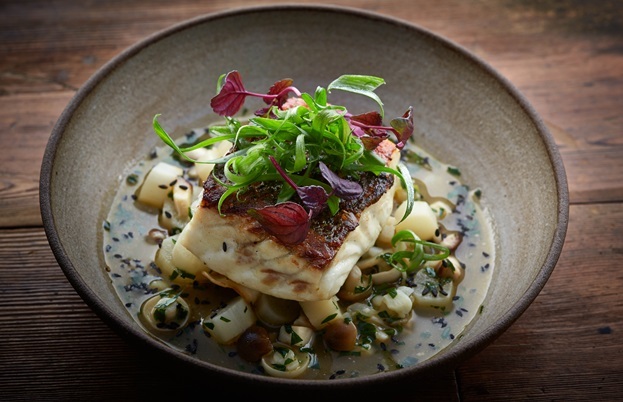 With food that appeals to local diners, travellers and foodies alike, there are beautifully “intricate and detailed dishes” alongside “more robust British comfort dishes”, all showcasing the best of fresh, local produce and botanicals. Aikens told us it was the “vibrancy” of Hong Kong that he fell in love with, as well as its nature as “a melting pot of all sorts of different food cultures and trends”. “Dining is a big part of many people’s lives here” he said, “Hong Kong diners are very open-minded…it’s an interesting place for any chef”. The Pawn, which has recently undergone a complete renovation in preparation for Aikens’ new menu, looks out over the hustle and bustle of Wan Chai and features “amazing art pieces on the walls curated by ‘anothermountainman’ (Stanley Wong), a famous Hong Kong artist”. Set over several floors with three small, open kitchens, each headed by chefs who have worked directly under Aikens, this “unique innovative space” offers diners a chance to “see and hear what we do”, says Aikens. The first floor ‘Botanicals’ bar showcases gorgeous cocktails, bar snacks and lunch: “a bit more of a casual offer where diners can enjoy a quick bite in a less formal setting…with more traditional British fare”. The second floor, ‘Kitchen’ houses a formal dining area where visitors can enjoy “both traditional and more refined cuisine” with “an interactive element…more sophisticated dishes that reflect my style in my restaurants in the UK”. The third floor – the rooftop ‘Farm’, where the restaurant grows a lot of their own produce – reflects Aikens’ drive to source the freshest ingredients possible. Aikens told us about this “fantastic event space” in our interview, which has many upcoming events of interest to the intrepid foodie: a “Rooftop Cookout every other Sunday featuring grilled meats, amazing salads and more…workshops on urban gardening and farmer's markets on the rooftop”. Provenance is key for Aikens when designing his menus and he told us he is “working closely with a few organic farms in the New Territories to source fresh vegetables“ for when the ‘Farm’ cannot produce enough to meet demand. When asked what ingredients he particularly enjoyed working with in Hong Kong, he told us he was “very impressed with some of the local pork here…its tenderness is amazing”. Up and coming talent Lee Westcott, who represents a new breed of creative, well-travelled, British chef, has also made a name for himself out in Hong Kong. Following his experience working in some of the world’s top restaurants, he was hand-picked by Jason Atherton to represent him in the city. Serving as Executive Chef at modern tapas restaurants 22 Ships and Ham & Sherry, he helped build the menus for their theatrical open kitchens. 22 Ships is a small, modern tapas restaurant located on Wan Chai’s trendy Ship Street which Westcott describes as “a very unique area with lots of restaurants and nightlife”. It is a fun, friendly, buzzing restaurant full of vintage touches and modern charm. There is a long bar table around an open kitchen where you can sit and chat with the chefs, get recommendations and watch as they prepare your food – very personalised service! The food at 22 Ships is “modern European cuisine, focusing on the sharing and socialising concept of tapas restaurants” says Westcott, but more than that it is thoughtful and beautifully presented. Done with flair and finesse, the combinations are mouth-watering and contemporary. The famous Iberico pork and foie gras burgers come very highly recommended. Ham & Sherry, the sister restaurant of 22 Ships which was “opened to accommodate the demand” according to Westcott, has a traditional Spanish bodega feel with flamboyant modern accents, beautiful tiling and hams hung from the ceiling. 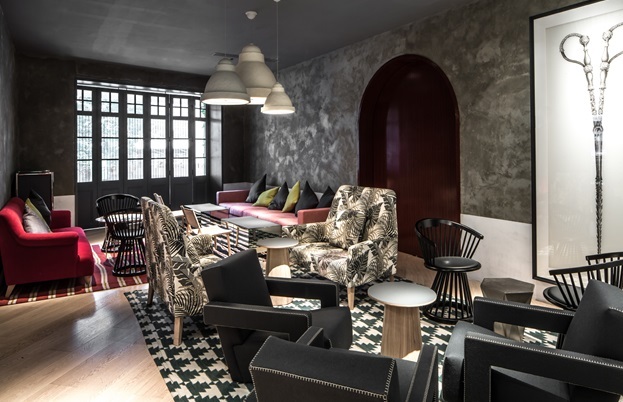 Informal and relaxed, it is a social hub where diners can enjoy strictly Spanish fare, “mostly Catalan dishes…a modern European twist on the tapas model”. As well as classic tapas such as Padrón peppers, and goat curd and ham croquettes, there is also a range of specially aged Spanish jamón – the oldest aged for 48 months – and a cellar boasting the largest selection of world-class sherries in Asia, including rare bottles from the famous elBulli cellar. He is now heading his first sole venture, The Typing Room in London, but we caught up with Lee to find out about his time in Hong Kong, what he experienced and what he most enjoyed there. “Hong Kong’s food scene is a bustling one to say the least”, he told us, it was “a great learning experience, you see things that you’ve never seen before”. New dishes and ingredients were also part of this education for Westcott: “I tasted and experienced everything possible, from chicken feet and sea worms to snake soup”. The creative use of vegetables are central to Westcott’s cuisine, so he was particularly excited about the produce he had the opportunity to use: “I fell in love with daikon out there. It’s quite watery, but packs so much flavour…The Chinese also have a great selection of mushrooms”. 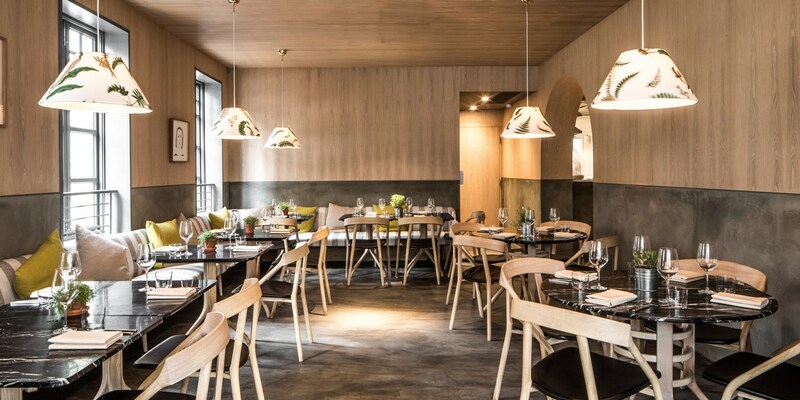 See these influences in action at Lee Westcott’s new restaurant, The Typing Room, which is surely in for a Michelin star in the next awards, next time you’re in East London.